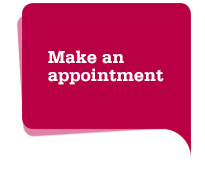 We want to make it as easy as possible for you to make an appointment or make a booking on the ‘Talking Therapies’ Introduction Sessions. If you need help with accessing our services, for example due to disability, mobility issues or language concerns, please let us know as soon as possible so we can work out the best way to support you. Drugs and alcohol: 09.00 – 17.00 Monday – Friday. Depression and anxiety: 08.00 – 20.00 Monday and Wednesday, 08.00 – 17.00 Tuesday, Thursday and Friday. The drugs and alcohol service and the depression and anxiety clinic are based at two different locations. If you want more information, contact us using the details below. If you would like to make a Freedom of Information request, email us.